K2 Recruitment has chosen to support the local charity Oxfordshire SANDS (Stillbirth & neonatal death charity). This charity's good work has directly helped a member of the K2 team and has touched our hearts greatly. We believe this local charity has a lot to give and we want to help them as much as possible in delivering their services. 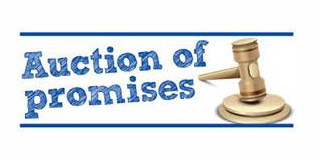 We are holding an online "Auction of Promises”, where people have donated goods or services to be auctioned off to the highest bidder, all proceeds going directly to Oxfordshire SANDS. We are hoping to raise enough money to help buy a Sofa for the Ashfield Bereavement Suite at the John Radcliffe Hospital. The hospital has been quoted £2,640, as its needs to be made with hygienic fabric. Now I know this is a lot of money but we believe with everyone’s help and support we can raise as much as possible. The link for the auction is http://auctionofpromises.com/i.aspx?a=fwddlf please take a look if there is anything you fancy having a bid on, or if you are able to offer anything to donate please do so, the more auction lots we have the better!